I've made a couple of trips to NYC recently: one I still need to blog about, and the more recent that I'll discuss now. My good friend came all the way from down under to the States for the holidays, so the girls and I reunited in NYC, the most central place when you are scattered between DC, NYC, and Boston. 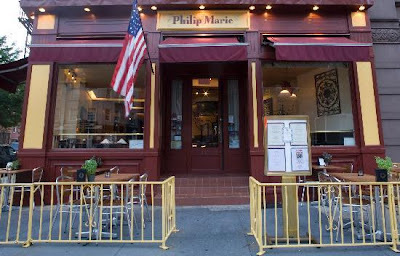 Upon arrival we headed to Philip Marie, a hopping brunch spot in the West Village. For $24.95 you can have bottomless mimosas and bloody Mary's with any entree on the menu. Most of our table ordered the favorite Marie wrap, filled with scrambled eggs, bacon, grilled ham, onions, mushrooms with cheddar and pepper jack cheese with skillet potatoes and tomato salsa. Some of us decided to pair up, so we could enjoy two different entrees; Katie and I split the wrap and the crab cakes benedict. I loved the wrap, but the DC in me couldn't help but overly enjoy the crab cakes. In most bottomless brunching situations, I consider the drinks to be on the weaker side. This is not the case for Philip Marie. We weren't crazy about the bloody Mary, but their mimosas were strong, and they refilled them quicker than our water glasses. Words of advice, be prepared to yell across the table - it's probably one of the loudest restaurants in which I've eaten. Also, the number of people you are with determines the time you have at your table - for eight ladies we had a three hour reservation. 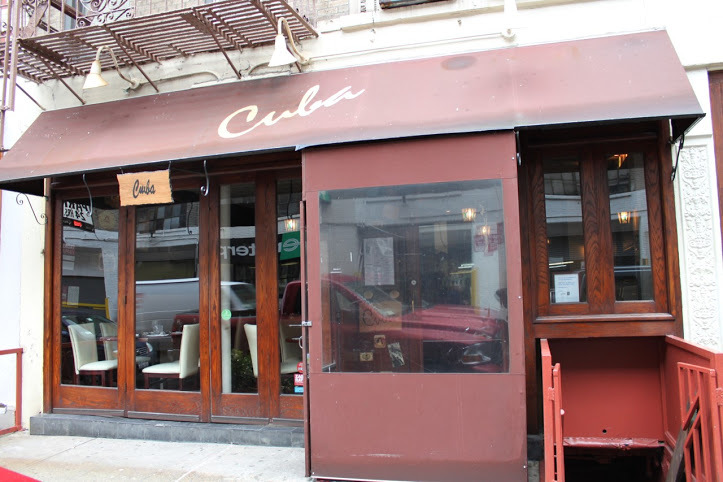 For dinner, we made reservations at Cuba in Greenwich Village. The restaurant has a very chill and intimate vibe - dimly lit, live music, and many groups of people who were clearly celebrating something. For us, it was three birthdays. We started with mojito pitcher and the ceviche mixto with shrimp, calamari, and scallops marinated in lime juice, red onions, avocado and cilantro; and yuca con mojo, potatoes with garlic mojo. Swayed by the recommendations of our passionate waiter, most of us went with the vaca frita: pan fried skirt steak with the same garlic mojo, parsley, and onions. He had warned us that dish calls for the meat to be cooked medium-well to well done, and as promised it suited for this dish. It was delicious and reminded me of my trip to Puerto Rico. Another popular entree at the table was the tilapia Santa Clara with Peruvian corn, artichokes, scallions and a brown butter almond sauce. I didn't get to try it, but everyone was very pleased with their meal. Both entrees were accompanied by rice and beans. 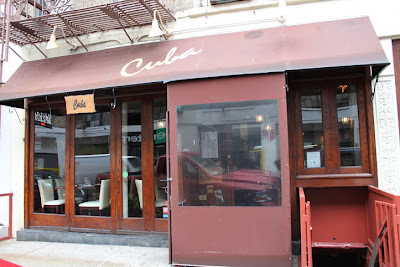 I thought the menu was reasonably priced for a hopping NYC joint, with entrees ranging between $17-$24. On your way out, don't forget to stop by the cigar roller - they are complimentary! Be nice and leave him a tip.